Background/Info: Blake’s Optimism is a new French duo unleashing their official debut work. Both members already gained some experience in other bands. Notice by the way this vinyl is strictly limited to 300 copies. Content: This vinyl features 4 tracks; 2 songs on each side. The first song from each disc deals with a darker sound finding its inspiration in the realms of martial and dark-ambient music. The sphere of horror has been accentuated by spoken sampled speeches. Both other songs move in another direction, touching neo-folk ground. We get something totally different although often related with martial music. This kind of music will appeal to fans of Death In June. 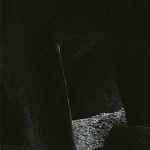 + + + : I especially like the martial and dark-ambient tracks, which both have a strong visual appeal. 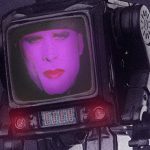 Both songs are pretty vintage-like reminding me of some 80s experiments while the obscure and terror-like atmosphere reinforces the sensation you get during the listening. – – – : The Death In June influence is quite recognizable in both neo-folk inspired songs, but also in the symbols of the artwork. Blake’s Optimism maybe has to make a choice about the sound they want to move on with. Speaking for myself I prefer their darker, martial/ambient side. 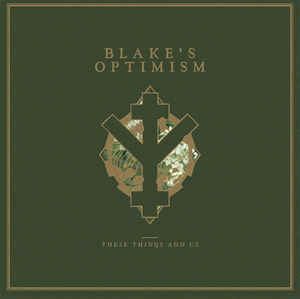 Conclusion: Blake’s Optimism will appeal to lovers of martial and neo-folk music. The vinyl format is strictly limited and so you never know, this vinyl might become a collector’s item! Best songs: “Prepare, Prepare!! !”, “Die Schwarzmarsch”.